The emblematic foundation base by CHANEL, an iconic favorite of professional makeup artists. Magical, it instantly illuminates the complexion with a subtle halo of light and perfectly evens out the skin's texture. Essential, it facilitates the application of foundation and prolongs its hold. It will now feature a pump applicator to dispense the product. It currently retails for $45.00 USD and contains 1 fl oz of product. 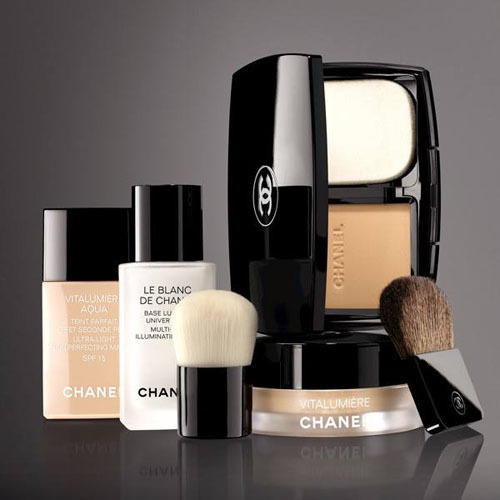 • As a foundation base: apply LE BLANC DE CHANEL to the entire face to even out and smooth away imperfections. • As a concealer: conceal redness and dark circles by applying LE BLANC DE CHANEL directly to the areas requiring correction. 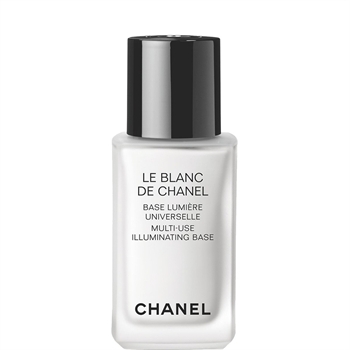 • As an illuminating base: add a drop of LE BLANC DE CHANEL to your foundation prior to application or directly to skin underneath foundation. • As a radiance booster: after applying foundation, enhance your makeup result by using LE BLANC DE CHANEL to add touches of light to key facial areas (forehead, chin). • A moisturizing complex to restore softness and absolute comfort.